Come and relax at Meadow Springs, a circa 1890 stone cottage set in tranquil, peaceful gardens, secluded behind a century old hedge. 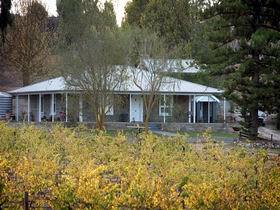 Sorby Adams - Jellicoe House, Barossa Vineyard Retreat, your Epicurean getaway. 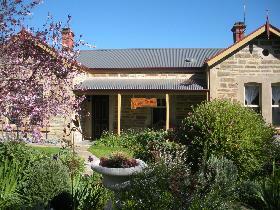 Taste the Barossa good life as you immerse yourself in vineyard living at Jellicoe House. 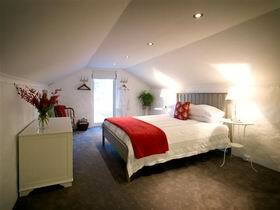 Acclaimed Sorby Adams winemaker, Simon Adams and his wife Helen have created a contemporary bed and breakfast accommodation experience that showcases the best of Barossa wine and food. 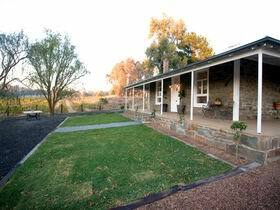 Nestled amongst the vines of Sorby Adams Jellicoe Vineyard, the fully renovated historic bluestone homestead provides a secluded haven to take in Barossa seasons. You are invited to taste the wines from the vineyard through the fully stocked cellar. Together with a larder loaded with staple ingredients and Helens gourmet meals, seasonally laden fruit trees and a full cooks kitchen, you have everything you need for your epicurean getaway.